How To Know/Change Date of Birth in Facebook: Some information are collected from Facebook users at the point of account creation, one of these information is the users' date of birth. 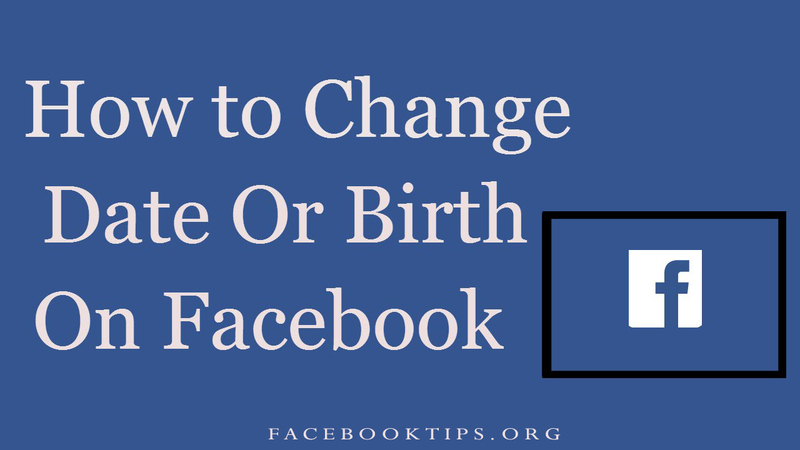 If for instance you made a mistake at first entry and you want to edit it or probably you want to edit it to know the real Facebook friends who knows your date of birth, well this article will teach just how you can do that. From your News Feed, click your name in the top left. Click About next to your name on your profile and select Contact and Basic Info in the left menu. Scroll down and hover over Birth Date or Birth Year, and then click Edit to the right of the info you'd like to change. Use the dropdown menus to change your birthday and use the audience selector to choose who can see it. You can also edit who can see your birthday by adjusting the audience, there are 2 audience selectors next to your birthday: one for the day and month and one for the year. Friends won't get a notification about your upcoming birthday if you don't share the day and month with them. I hope this was helpful? kindly share this with your friends so they can make changes and edit their date of birth on Facebook.